Fans of the great late Freddie Mercury and Queen are in for a treat when top tribute band, The Bohemians visit Carmarthen. They’ll be strutting their stuff at the Lyric Theatre on July 25. 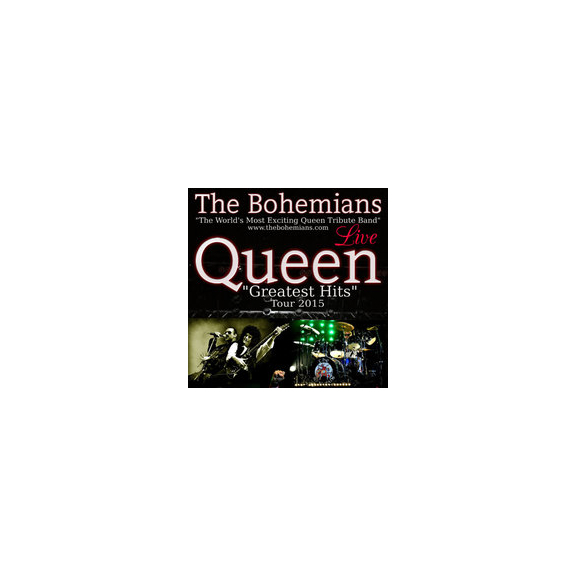 Queen Tribute band The Bohemians are internationally renowned and they’ll take you on a great journey through the back catalogue of Queen, one of the world’s most popular rock acts of all time. It’s a rollercoaster ride of a concert, with many fabulous hits covered in great style, from the early piano and harmony heavy masterpieces to the later catchy pop of the eighties and rock anthems of the early nineties. Whether it’s Killer Queen, Crazy Little Thing Called Love or The Show Must Go On, Bohemian Rhapsody or We Will Rock You/We Are the Champions, The Bohemians will have you on your feet and rocking. It’s a truly memorable live re-enactment of the world’s greatest rock band. Starts at 8pm, full price tickets are £16.50. And if tribute bands are your thing, there is another treat in store this summer at The Lyric when Take That tribute band Rule the World take the stage on August 14, at 7.30pm. Tickets are £12. Rule The World have appeared on ITV1′s 'Daybreak', 'The Graham Norton Show' and have had rave reviews from many media pundits including TV personality Ricky Tomlinson, Jason Orange’s mother and Gary Barlow himself, Take That’s lead singer.